Posted by Marianne on Feb. 25, 2019 in RVing Tips. Last update on Feb. 25, 2019 . 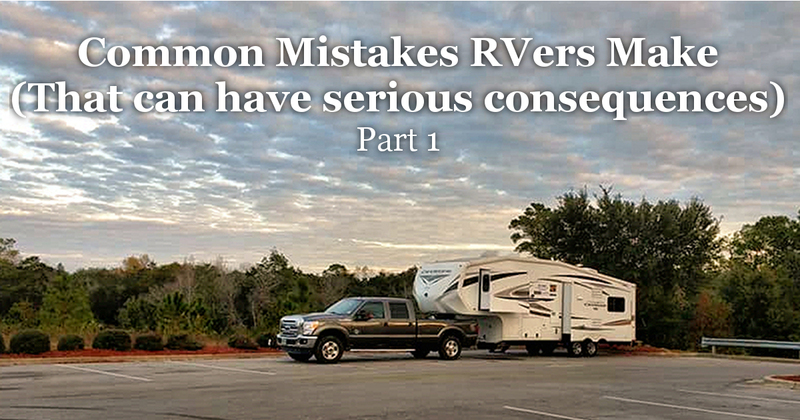 Whether you are a rookie or have been camping in RVs for years, you can make a mistake now and then. Sometimes you just don’t know any better. Sometimes you get out of sync with your routine. Even experts get complacent or forgetful. Posted by Anna on Aug. 24, 2018 in Buying an RV. Buying your first RV involves a lot of decisions, the first of which will probably be deciding what kind of rig is right for you. 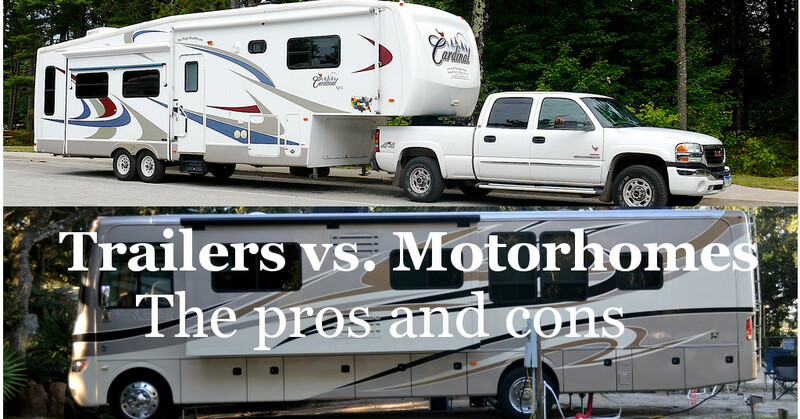 While there are may different options, they can generally be divided into two different camps: Motorized (a.k.a. "motorhomes") and non-motorized (a.k.a. trailers and fifth wheels). Here's a quick rundown of some of the pros and cons of the two.